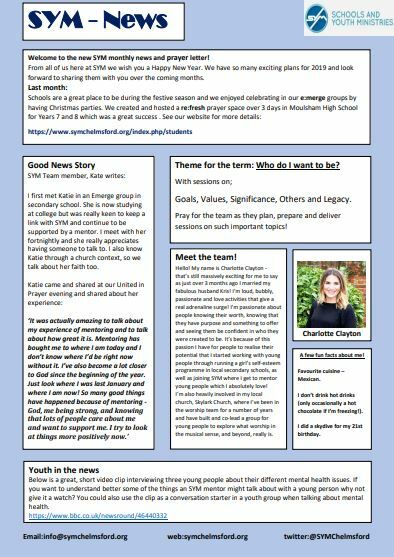 All Chelmsford 24-7 Prayer, Blog – News/Events Updates, will henceforth be published on the website of Christians Together in Chelmsford (CTiC). Ever since Chelmsford 24-7 Prayer began, I have had a clear sense that it was all about the Christians of our City coming together. The Church, not simply The Churches in Chelmsford. In 2015, I believed one of my first tasks was to connect with the then Churches Together in Chelmsford group, and immediately a positive relationship was birthed, that has continued to grow and develop. When, in May 2018, I felt led to stand to be Chair of Christians Together in Chelmsford, (name changed in 2016), I knew without a doubt that part of the journey would be in some way, to see a ‘melding’ of the two organisations. That journey is underway. I am certain that the regular Prayer Spaces and Prayer Walks that I felt God tell us to facilitate over the last three or so years, around the churches of the City, have played a crucial role to sow and nurture the seeds of unity and love, for what God is now putting into place. 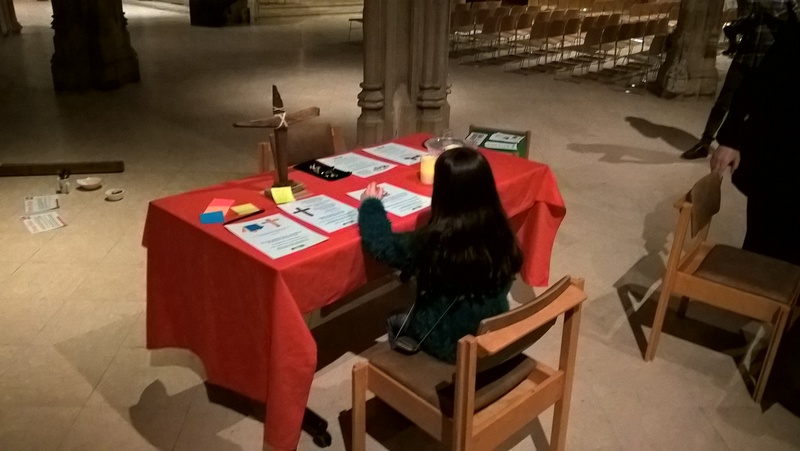 But over recent months, these seem to have naturally diminished and by next month, we will be left with just two regular Prayer Spaces in the Cathedral, on the 1st and 3rd Wednesdays. Behold I do a new thing! In the last few months, we have opened up what was a prayer meeting specifically for Chelmsford 24-7 supporters, to the whole City – in firm partnership with CTiC. Prayer for our City is a monthly meeting on the 4th Thursday each month, at The Church of the Holy Spirit, Forest Drive, Chelmsford. Everyone is now welcome – all who want to see The Kingdom of God come to our City and Nation. Chelmsford is no longer, as in its history, a provincial market town, but since 2012, a City – one that has a God given purpose and destiny. Since the beginning of 2019, I believe that The Lord has started to reveal vision and strategy for our City as a place where The things of the Kingdom of God can be known and found, by all in our region and nation. This is a bold assertion and those leading both Chelmsford 24-7 Prayer and CTiC are taking careful steps, one at a time, to listen to God further and in conjunction with other Christian leaders here, to see what this might mean. We are in exciting times and we must, similar as in the Bible book of Revelation, listen to what The Spirit is saying to to The Church in Chelmsford -and act accordingly! More will gradually be revealed! So, the organisation, and name of Chelmsford 24-7 Prayer will gradually decrease and give way to CTiC. More about the vision for our City and information relating to Christian activity here, including prayer, will henceforth appear at ctic.org.uk, rather than on this website. A tremendous thank you to all who have been on the journey with Chelmsford 24-7 Prayer. We pray you will continue it with us. alongside, literally as Christians together in Chelmsford. Prayer for Our City – this Thursday – Read why you should not miss it! Everyone is welcome to join us this Thursday, 7.45pm for 8pm, at the Church of The Holy Spirit, Forest Drive, Chelmsford, CM1 2TS, to pray over our City. Since the beginning of the year, there have been some exciting developments… read below, why you shouldn’t miss this meeting! ‘At the beginning of January, I went at a national and regional leaders 24 hour Prayer Retreat organised by World Prayer Centre, and I believe The Lord gave a clear message to all present about being prepared for ‘Suddenlies’! Personally too, at the beginning of the Retreat I believe God brought to my thoughts that He was going to bring the ministries I lead in Chelmsford and another Nationally, (Call the Nation to Prayer), together in some way. At the end of the 24 hours away, I was prayed over by a lady who knew nothing of my thoughts, who spoke prophetically the same thing, that the ministries I am involved in would be consolidated – she said she saw in her mind a target with an arrow in the middle. Then, just two days later, a ‘suddenly happened! I received a personal email, then two hours later, had a conversation with a member of The House of Lords, who I had never heard of before, which resulted in meeting him and others last Friday week in Meriden, West Midlands. It was there, in September last year, Call the Nation to Prayer, held two prophetic gatherings, called ‘As One’ – you can read about them by clicking here. I cannot say too much more here, but I believe The Lord is birthing something, that could have terrific significance for His Kingdom in our City. If one suddenly was not enough, on Saturday just gone there was a Prayer Breakfast at The Church of the Holy Spirit, Chelmsford, where the speaker was Jennifer Abigail Wallace, of National Prayer Movement, Quiver. At the end of the morning, she suddenly released a prophetic word over Chelmsford. She spoke fervently of revival coming to our City – of mass salvations and healing miracles! Click here to view a video of the word as it was given by Jennifer. Something is stirring! We need to get before The Lord in Prayer, to hear His voice further and for wisdom as to the next steps of faith to take. We are glad to be able to provide a link to their new monthly News and Prayer Letter. Your Street Pastors need you! 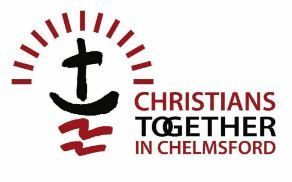 Read the latest News Update from our partners Christians Together in Chelmsford – CTiC. New volunteers required to Pastor and Pray! Have you read Prayer Magazine? Prayer Magazine is the UK’s only publication dedicated to Prayer. Let’s pray together for a transformation of our Nation. Subscribe to some great reading for 2019. Prayer Magazine will help keep to informed as to many things The Lord is doing around the UK and across the World.